“Rope skills are exactly the same as those used in the past and can never be replaced by machines in the future. I love working with natural rope. The texture and the smell makes me think of bygone days when everything was handmade and hundreds of tall ships navigated the coastline of Cornwall every day. Added to this is the satisfaction that I often take my work and sit on the quay of a local fishing village to hear the sea and watch the boats come and go. 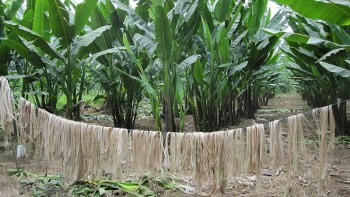 Manila rope is made from "manila hemp", a type of fibre created from the leaves of the abacá plant (Musa textilis). This plant, a relative of the banana plant, is native to the Philippines, the capital of which is Manila, hence the name of the rope. The plants can grow up to 12 feet (4m) tall, and are also used for creating paper products like tea bags, filter paper and banknotes. The manila rope that Rope and Splice sells is the 'genuine article', coming from sustainble plantations in the Philippines. 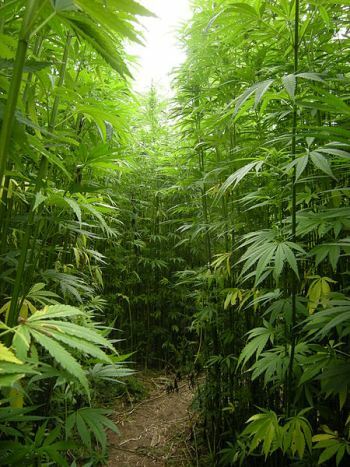 Rope and Splice's 100% natural hemp rope is created from the fibre of the hemp plant (Cannabis sativa). It is very environmentally-friendly, requiring few pesticides and no herbicides in order to grow in a fast and healthy manner. 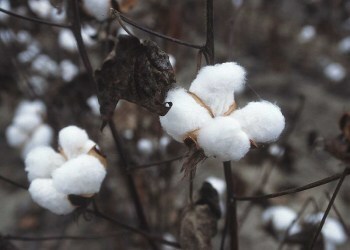 Cotton rope is created from the spun fibre of soft, fluffy cotton, the bolls or capsules of which grow around the seeds of the cotton plant (Gossypium hirsutum). Cotton has been cultivated for over 7,000 years and due to it's softness is often used to make clothes (including denim for jeans), towels, cotton wool, coffee filters and fishing nets.